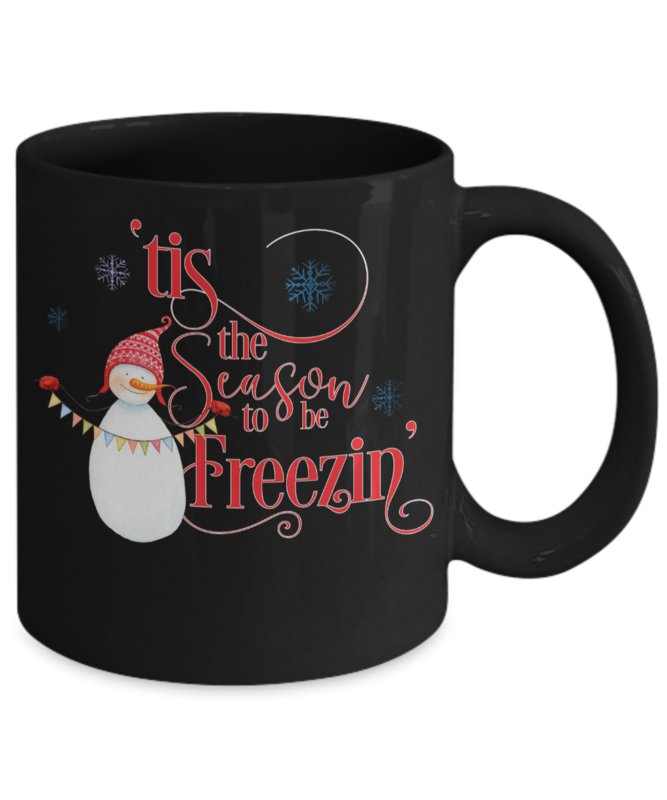 Funny Snowman Tis The Season To Be Freezin Coffee Mug! This little snowman isn’t going to let the Cold Weather stop his fun nor should you! 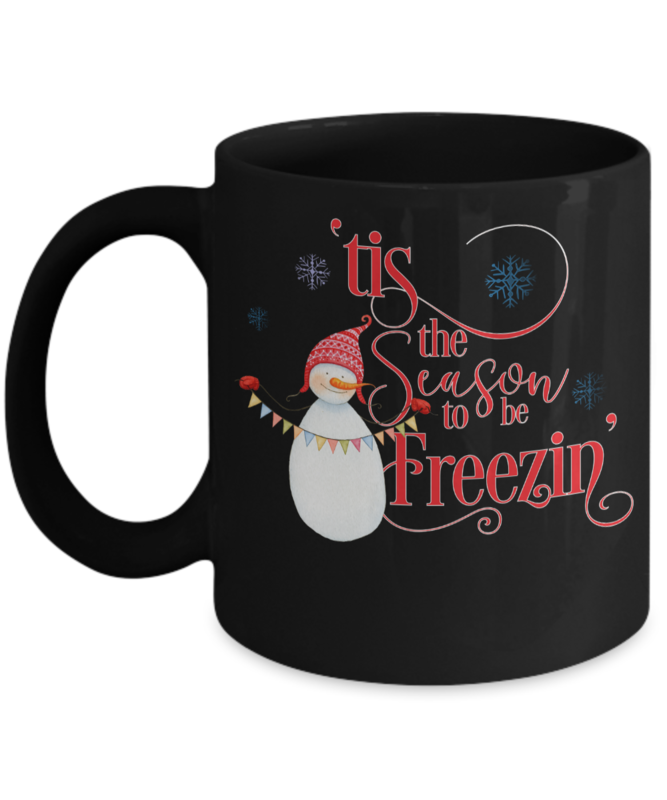 A Super Cute Funny Snowman Tis The Season To Be Freezin coffee mug would make a Great gift for Men, Women and Kids!